iPad has a lot of advantages over other devices in the digital sphere. DTT offers services for developing an iPad application for your company or business. This app can solve a lot of corporate business tasks, optimise internal processes, serve as a vivid e-learning solution, be an instrument for effective and impressive business presentations. There are certain peculiarities in development of iPad application, and we are there to advise you on the most optimal solution for your needs. Our strong team of competent project managers, marketers and UI experts will assist you in the decision-making process and will help you in shaping your app idea into a full-functioning app. Please check our portfolio - we have serious experience in developing complex projects for iPads, targeted at the consumer market or serving the in-house goals. We hope you will get inspiration from our examples and together we can make an outstanding app that will satisfy your needs and will be another shining star in our gallery of pride! Do you want to develop an iPad app, or you are curious about the possibilities of apps for your organisation? DTT is the partner you are looking for. We are known as a flexible, fast and reliable app developer. By combining technique, strategy and creativity in the right way, we can develop a unique app of high quality for you. A growing number of organisations are realising the potential of iPad apps and we would be happy to talk to you about the possibilities for your organisation. The accountancy and advisory firm KPMG was searching for a solution to give their clients better insight in the risks of international laws and rules. 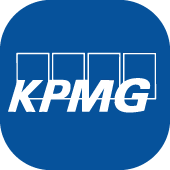 They found the right partner in DTT to find this solution and the the KPMG Fine I app and the KPMG Fine II app were developed. The app asks its users relevant information through an interactive and intelligent questionnaire. As a result, the users are shown a custom heat map of the position of their organisation in relation to international laws and rules. It gives the users good insight into the risks of international laws and regulations for their organisation. The construction and engineering firm BAM Utiliteitsbouw was looking for a way to emphasize how important safety in and around the construction site is for their organisation. The idea was to provide insight in commercial offers for everyone in the organisation and to inspire them. From this idea the BAM Inspiration solution app was created: a native iPad app and web application in which valuable and creative ideas are shared with its users about subjects such as sustainability, safety and business gifts. Thanks to the intuitive and user-friendly interface, employees of BAM can be engaged in work related subjects at all times. BAM Utiliteitsbouw was very satisfied on how fast DTT was able to develop the app, about our enthusiasm and our flexible work attitude. You already know what you want for the development of your iPad app, but you don’t know how to make your vision reality? DTT can offer you the knowledge and technique that is necessary to make an iPad app of quality. You don’t have a specific idea yet, but you are realizing the potential of having an iPad app? At DTT we like to talk about this potential. DTT can offer you a wide range of functionalities, for example suited for in-house solutions or apps aimed at the consumer market. The potential of apps for iPad is high, iPads have a larger screen than iPhones for example and the graphics are more advanced. This makes iPads highly suited for the development of intelligent sales enablement tools, impressive and interactive company presentations, reporting modules and e-learning solutions for example. Depending on who and what you want to reach, it can be a good decision to develop an app specifically for iPads. Both iPhones and iPads are mobile devices, so a mobile app can be used on both devices. However, the use of the two devices are different from each other. For example, both devices are mobile, but an iPad often has a fixed purpose, to use at home or in the office for example. In contrast of the iPhone, which is more often used as an on-the-go devise. Therefor it is used more frequently, but in shorter periods of time. These moments are considerably longer on an iPad. Due to this, iPads and iPhones are used in a different way and for different tasks. Insights like these are useful for creating the right strategy for your app. To be able to develop a successful and unique app, these type of differences in usage of devices should be seen as opportunities and should be utilized to the fullest extent. The latter is one of the strengths of DTT: recognizing and utilizing opportunities. Are you curious about the possibilities DTT can offer to your organisation? Then don’t hesitate to contact us, we will be happy to have a (non-obligatory) conversation about the possibilities for your organisation. "DTT has helped us twice. First, DTT devised a prototype for an app and when this was well received, they made a fully dynamic version of the app. Our needs and requirements were not easy to fulfill, but during the pleasant co-operation we have come to a good design that satisfied both parties. In the implementation phase DTT came up with good proposals for the app, but also gave us good advice on how we could position our app within the organization. It is amazing how our complex scoring model was so easily implemented, so our non-technical colleagues can manage this through the back end."